Although a fine-grained understanding of the neurobiology of posttraumatic stress disorder (PTSD) is yet to be elucidated, the last two decades have seen a rapid growth in the study of PTSD using neuroimaging techniques. The current review summarizes important findings from functional and structural neuroimaging studies of PTSD, by primarily focusing on their relevance towards an emerging network-based neurobiological model of the disorder. PTSD may be characterized by a weakly connected and hypoactive default mode network (DMN) and central executive network (CEN) that are putatively destabilized by an overactive and hyperconnected salience network (SN), which appears to have a low threshold for perceived saliency, and inefficient DMN-CEN modulation. There is considerable evidence for large-scale functional and structural network dysfunction in PTSD. Nevertheless, several limitations and gaps in the literature need to be addressed in future research. Teddy J. Akiki and Christopher L. Averill contributed equally to this work. The authors would like to thank the US Department of Veterans Affairs National Center for PTSD, the NIMH, and the Brain and Behavior Foundation for their support. We would also like to thank our colleagues for their thoughtful conversation while preparing this manuscript. This work was supported by the US Department of Veterans Affairs (DVA) National Center for PTSD, NIH [MH-101498]; Brain and Behavior Foundation Young Investigator Award [NARSAD]. The content is solely the responsibility of the authors and does not necessarily represent the official views of the sponsors. The sponsors had no role in the preparation, review, or approval of the manuscript. Teddy J. Akiki and Christopher L. Averill declare that they have no conflict of interest. Chadi G. Abdallah has received grants from the NIH [MH-101498], the Brain and Behavior Foundation Young Investigator Award [NARSAD], and the US Department of Veterans Affairs (DVA) National Center for PTSD. Dr. Abdallah has served as a consultant or on advisory boards for Genentech and Janssen. He also serves as editor for the journal Chronic Stress published by SAGE Publications, Inc.
Kennis Ph DM, van Rooij Ph DS, Reijnen MA, Geuze Ph DE. The predictive value of dorsal cingulate activity and fractional anisotropy on long-term PTSD symptom severity. Depress Anxiety. 2017; https://doi.org/10.1002/da.22605. Cisler JM, Steele JS, Smitherman S, Lenow JK, Kilts CD. Neural processing correlates of assaultive violence exposure and PTSD symptoms during implicit threat processing: a network level analysis among adolescent girls. Psychiatry Res. 2013;214(3) https://doi.org/10.1016/j.pscychresns.2013.06.003. Morey RA, Gold AL, LaBar KS, Beall SK, Brown VM, Haswell CC, et al. Amygdala volume changes in posttraumatic stress disorder in a large case-controlled veterans group. Arch Gen Psychiatry. 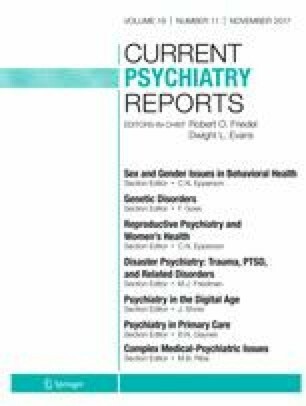 2012;69(11) https://doi.org/10.1001/archgenpsychiatry.2012.50.